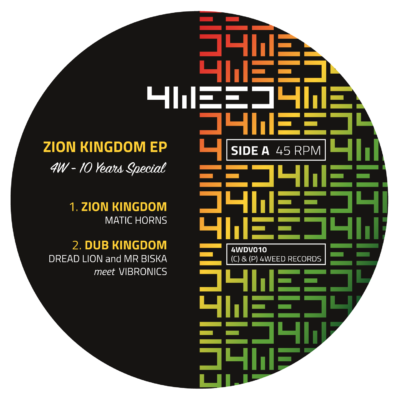 We are proud to present the debut of Italian duo Babe Roots on 4Weed Records. After the first meeting in a vibrant session in Turin, an immediate and instinctive intention for a further collaboration rose up. ‘Ruff Out Deh’ is our first release on 7” vinyl. Kojo Neatness‘ sweet voice emerges on an increasing and dense rhythm which brings us directly to the golden age of 70s roots reggae. ‘Ruff Out Deh’ is a deep dub tune, a mystic mix of European and Jamaican sounds resulting in the fusion of these cultures immersed and united by deep reverbs. Kojo Neatness’ message is universal: ‘Ruff out deh, believe me..’; Babe Roots’ sound research is sublime. This release stands out for originality and quality.